Thinking about what kinds of bugs are hiding in the walls, floor, and ceiling of your Jersey City home can become a real-life nightmare. If you’ve seen insects in your house, the chances are good that there are many more of them hiding just out of sight. Some insects are harmless, but many can present a danger to you and your family. 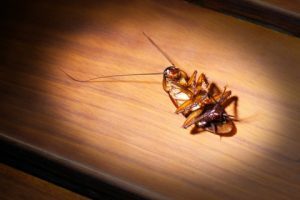 Cockroaches can trigger allergic reactions and inflame the symptoms of people with asthma, but they can also carry dangerous bacteria, including E. coli and salmonella. Fleas of course, are the insects known for giving itchy, red bites but they can also carry diseases. Meal moths can contaminate food with their feces. Flies can spread bacteria and diseases, and have a way of landing on whatever you’re about to eat. Bees and wasps can give painful stings which can even lead to death in the case of an allergic reaction. Black widow and brown recluse spiders have a poisonous bite that can send you to the hospital. These insects are not only a small amount of insects that you could find in your home, but they’re also common insects that are found nation wide. These insects find ways into your home all the time, and from there make homes and end up infesting your home. If you need insect control, let our exterminator to take care of an infestation in your home; you can trust our pest control company to handle the issue. Whatever the pest and whatever the danger, Tap Out Pest Control will be happy to make your infestation problems a thing of the past. We have the pest control experience to completely and professionally remove any insect colony that makes the fateful decision of moving into your home. This includes mosquito control and tick removal. Don’t spend another minute living in fear inside of your own house. Contact Tap Out Pest Control today, get a free quote, and take back control of your New Jersey home! We proudly serve residents in Jersey City and all of Hudson & Bergen County. Schedule Insect Control Services in Bergen County Today!